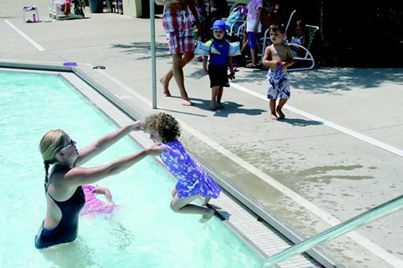 Azionaqua Swim Lessons are ideal for children age 3 and older. Classes are 30 minutes long and have a 4:1 student to teacher ratio. Students will be placed in groups based on ability and will move stations as they progress during the session. Lessons are designed to build swim skills, increase the student’s confidence and make recreational time at the pool more fun for the whole family! We do not prorate lesson fees due to absences or vacations. Registration will close 3 days prior to the start of each lesson session. Want more flexibility in scheduling? Want your child to have one-on-one time with their instructor? ***Due to our instructors returning to school, private swim lessons will only be offered through August 5th.